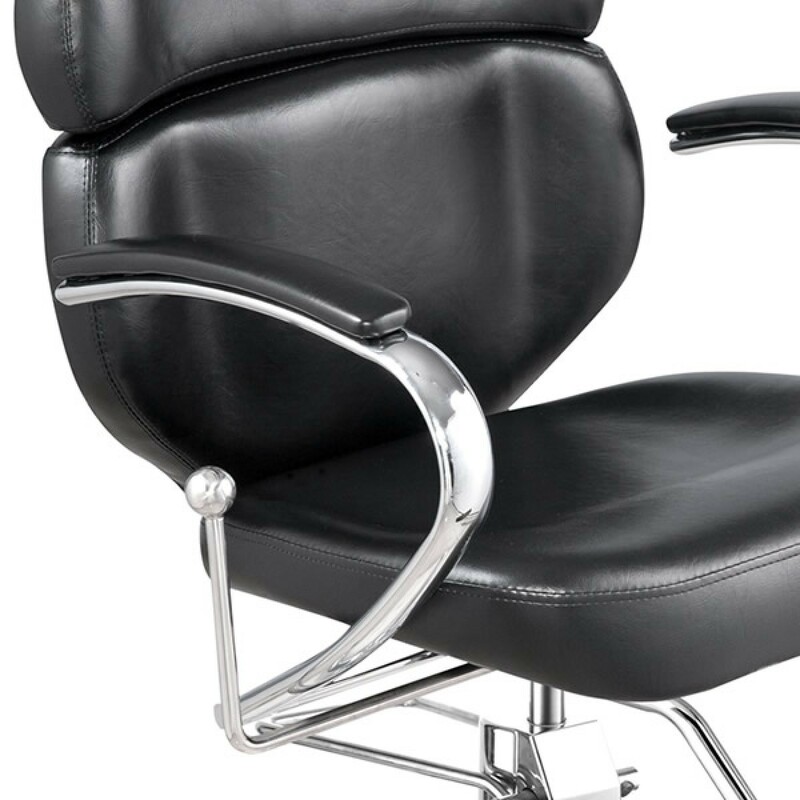 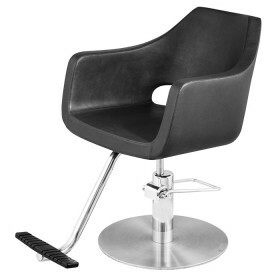 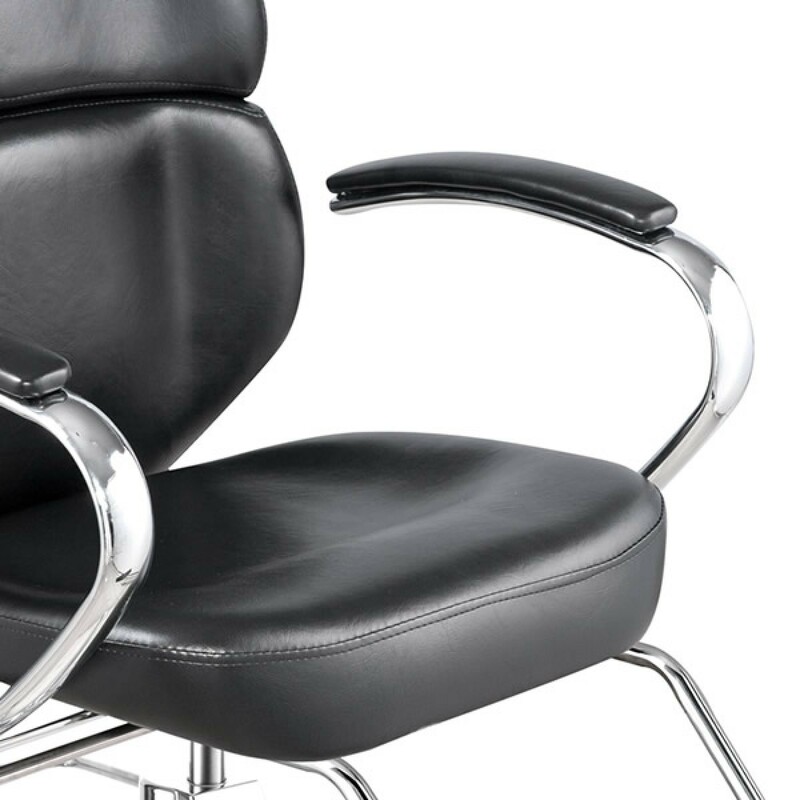 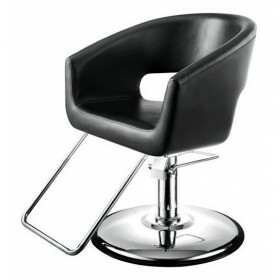 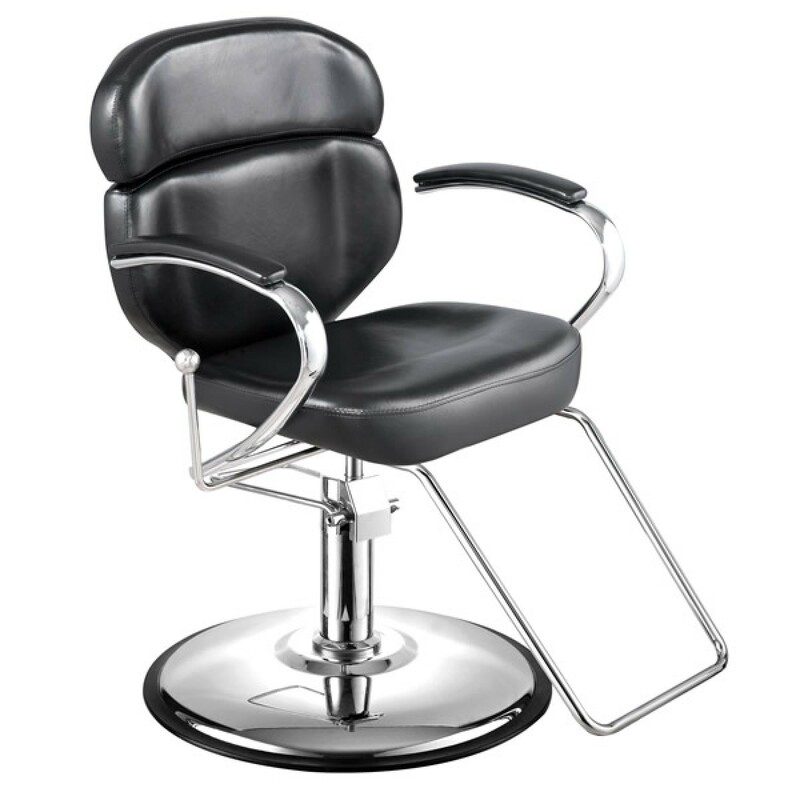 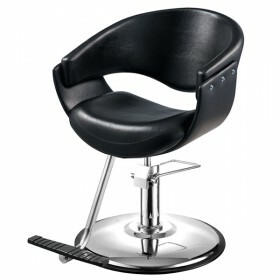 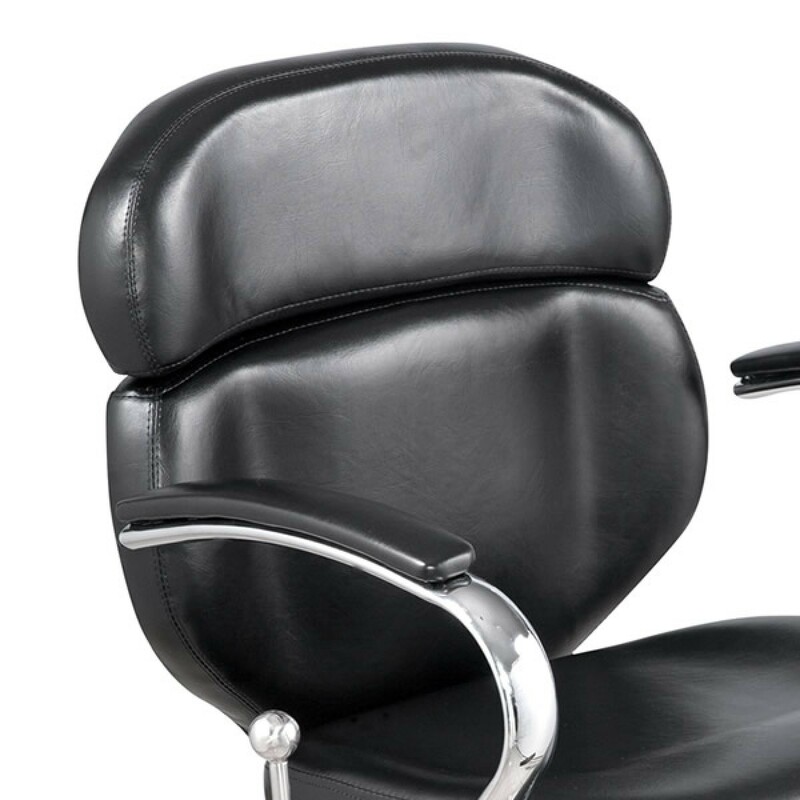 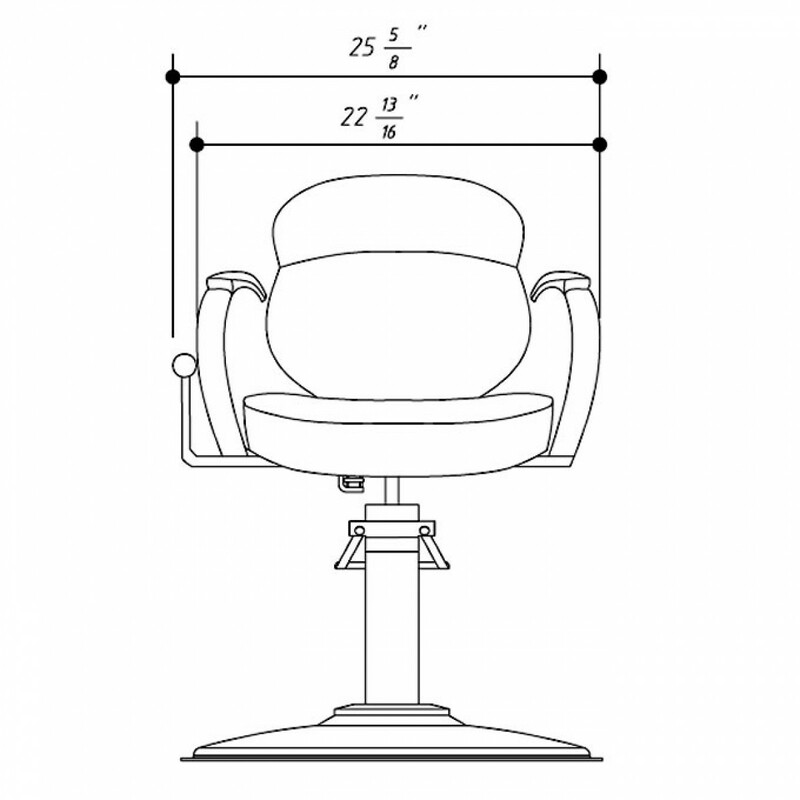 This styling chair features molded foam cushioning contouring the body nicely to prevent fatigue. 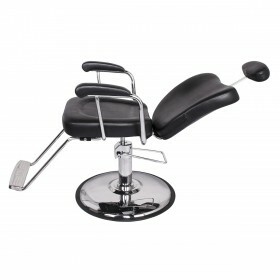 The upper backrest is adjustable to fit any size client, but does not lock into place. 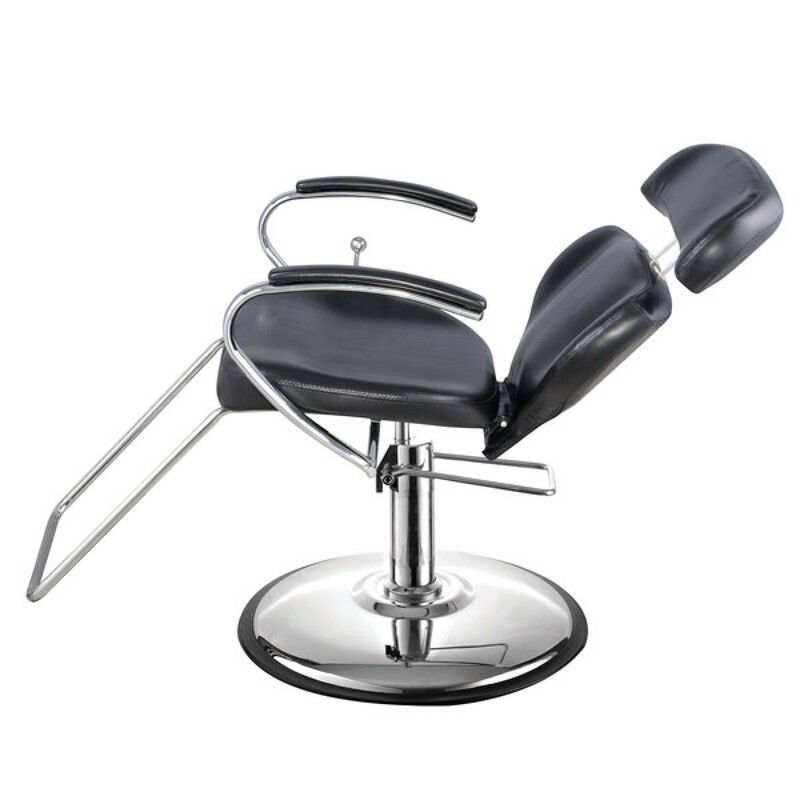 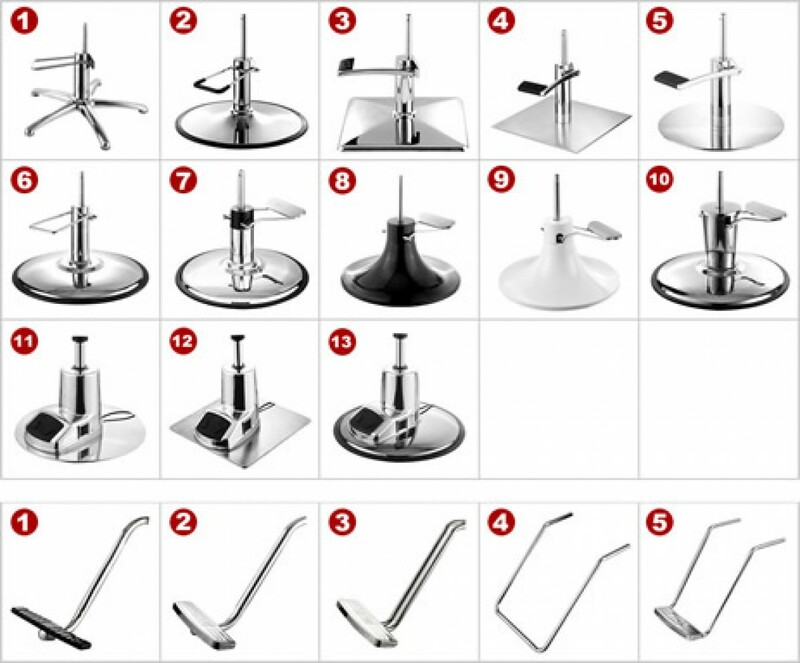 - The adjustable back cushion is designed to be held in place by resistance between the rods, the receiver, and with weight applied to it. 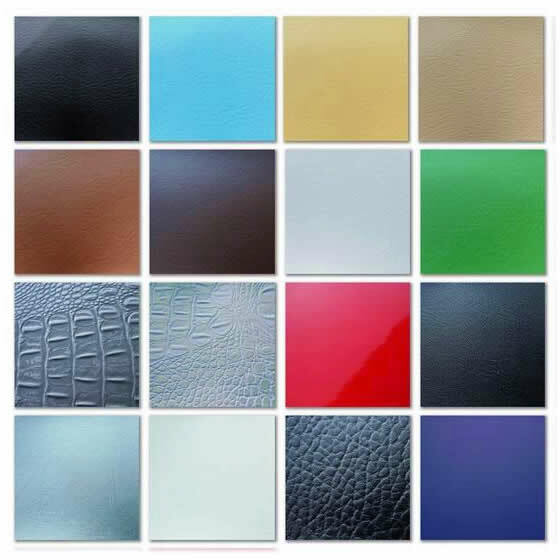 There is are no notch system that locks it in place. 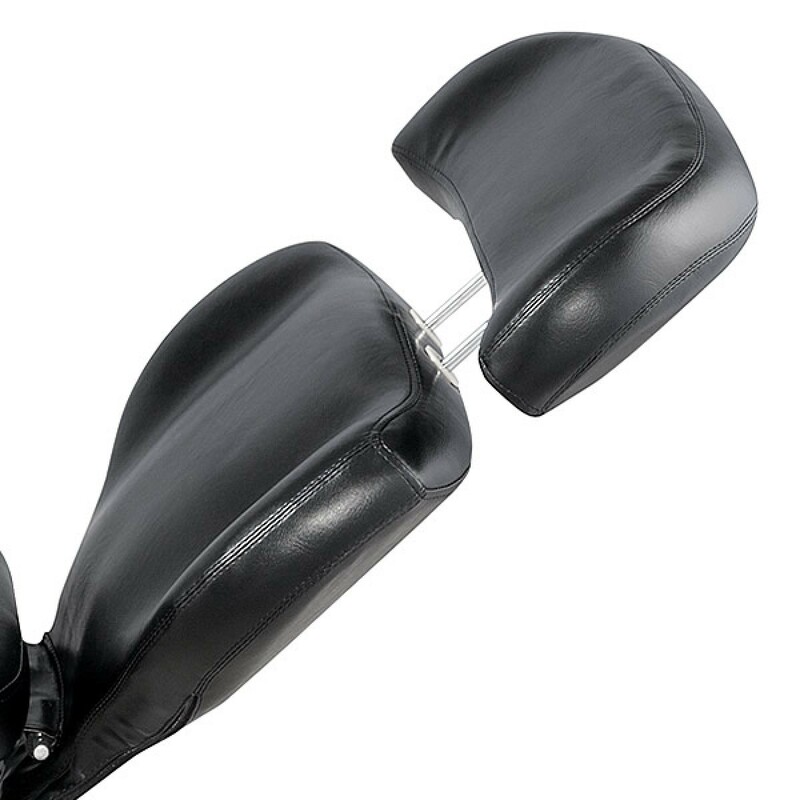 You can however adjust the tension between the rods and the receiver by widening the rod a little. 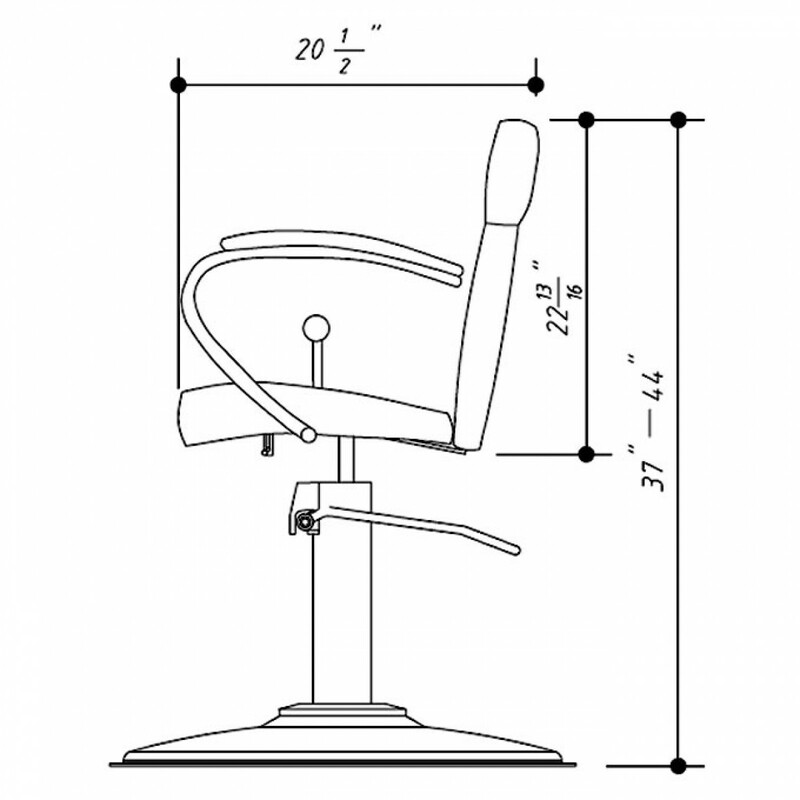 That will increase the resistance and make it harder to move the headrest up and down.